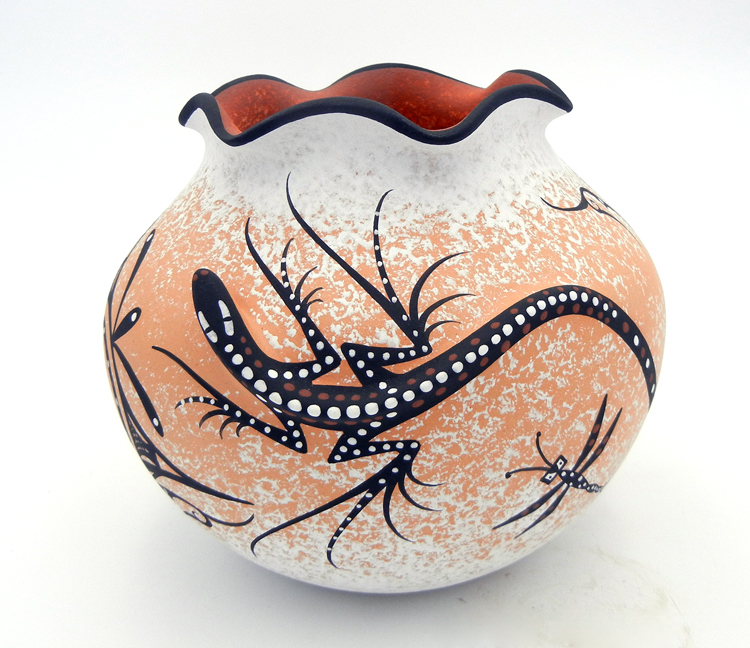 Palms Trading Company is proud to feature pottery from Pueblos all over New Mexico and the Southwest, including Zuni Pueblo. 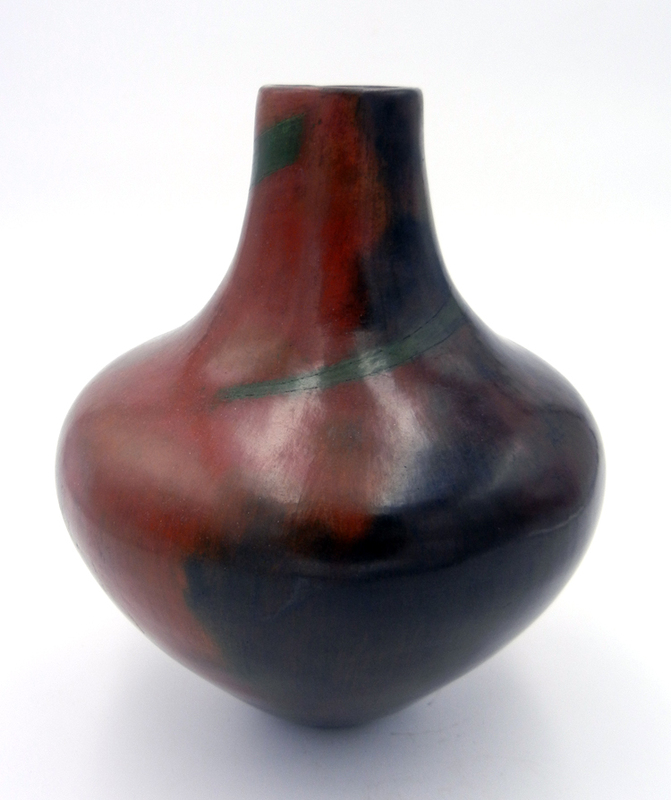 The pottery from Zuni Pueblo is easy to distinguish from other Pueblos. 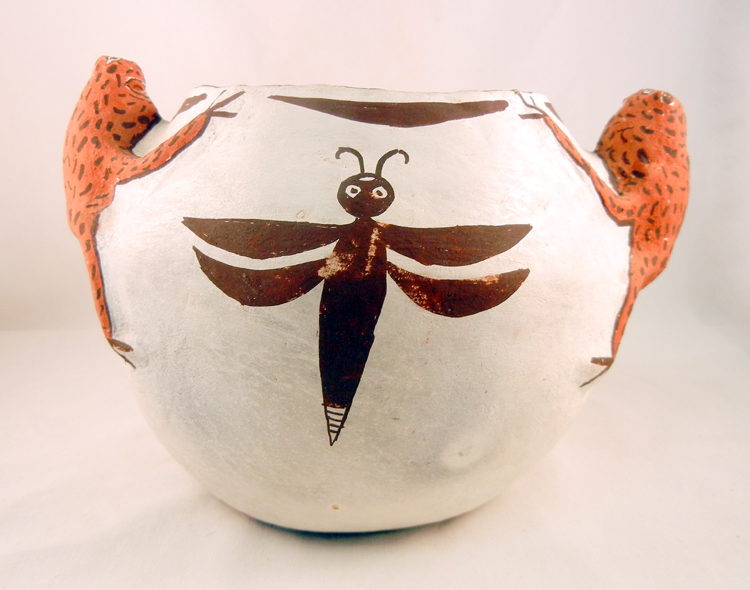 The artists from Zuni Pueblo create more open pieces such as baskets and bowls and are known for using common animal images like the deer, frog, lizard, tadpole and dragonfly. 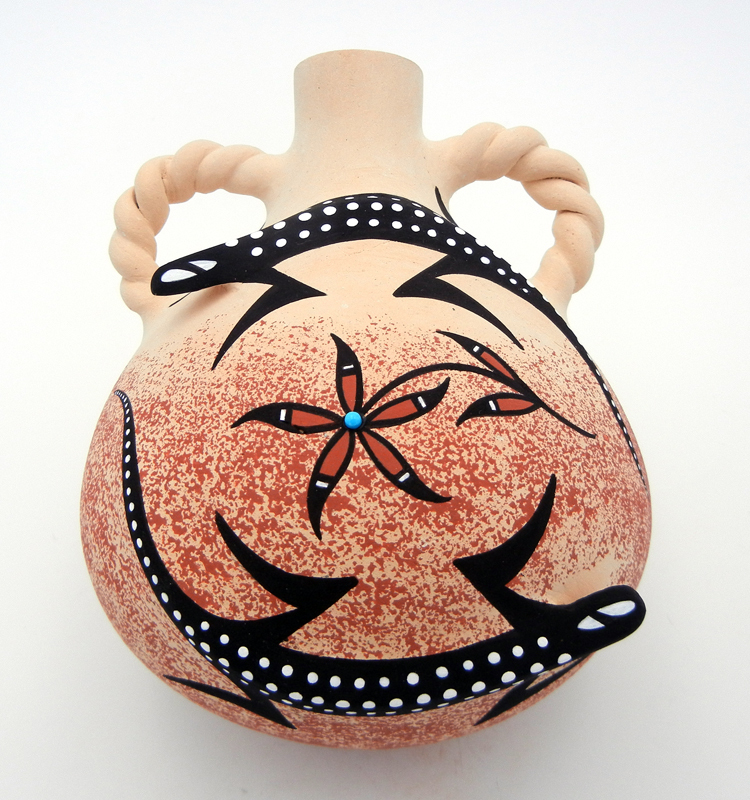 Zuni Pueblo Indian pottery is a fantastic addition to any pottery collection and provides a unique accent to your home décor.